Holiday Memories Ornament 4 x 9 inch Cellophane Bags. Perfect for literature, samples, self promotion, party goods and much more. 100 bags per pkg. This size is perfect for larger samples, small hostess gifts, giveaways, small gift with purchase & more. Gusseted - These bags have triangular sides (gusseted) so they will expand to hold more contents. They will sit flat if you have items inside that are weighted or will sit up by themselves. These bags are also food safe. 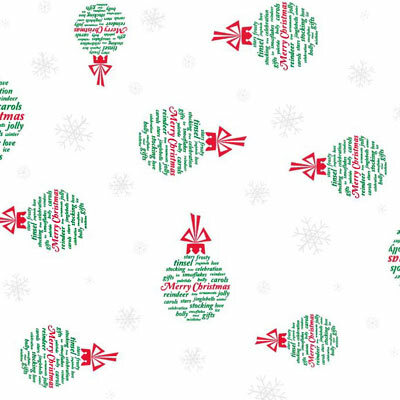 In this design, words often associated with the Christmas Holiday are arranged in a circle to form an ornament. Some words are: stars, frosty, tinsel, stocking, celebration, snowflakes, reindeer, gifts, yuletide, carols, jolly, love. This would be the perfect gift wrap for that special Christmas ornament.